How’s your week going so far? Can’t complain here! Especially since I have a new coffee drink to share with you!! 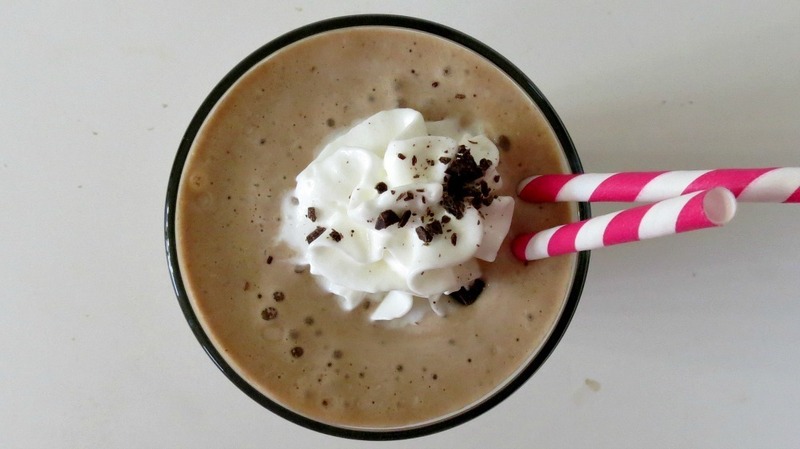 Let my get right down to it and introduce to you my healthy Chocolate Mocha Mudslide Frappe. 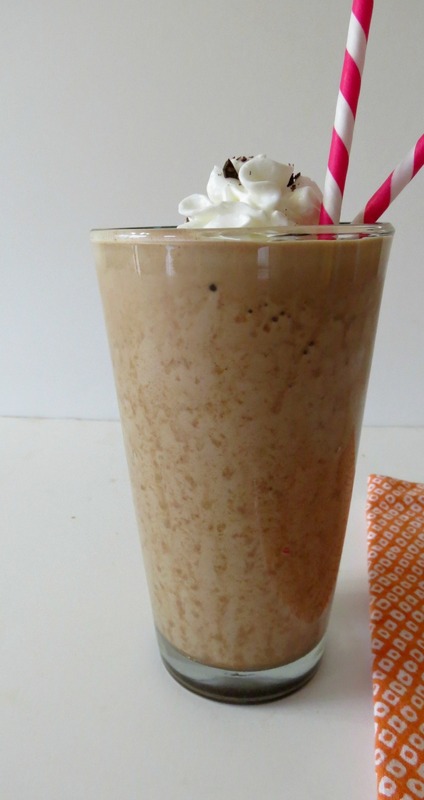 This is my healthy version of a traditional mudslide drink that would contain Bailey’s Irish Cream, Kahlua, maybe some vodka and if your feeling spunky butterscotch schnapps. Well my drink doesn’t have any of that! Instead I have partially frozen coffee, cocoa powder, vanilla extract and a frozen banana. It’s perfect and very filling!!! And ohhh, the hint of banana with coffee, so good! I never thought that combination would go so good together, but I was wrong, way wrong!! I took your advise on this drink and I froze one and half cups of coffee in ice-cube trays. You are so right, that is way easier than freezing it in blocks. Thank you for the suggestions!! You just made my coffee-making experience even better!! This drink is magnificent but one thing I don’t like is taking photos of this drink. The chocolate in it kind of separates so you have to forgive the photos, but don’t let it scare you off. This is truly a wonderful drink. I was even thinking, but I didn’t do it, was adding a dollop of peanut butter to it. I could only imagine how good that would be. With this kind of drink the possibilities are endless. If your feeling like a real sweet treat, drop in a scoopful of vanilla ice cream, oh yah baby now you’re talking. Ok, now I sooooooooo want to add ice cream to it. I think I need to make a run to the grocery store!!! Well my Friends, after writing this post I really want to get a little bit of ice cream and try the drink that way. I think I’ll make it with decaf coffee and have it for my dessert tonight! Yum!!! Funny, when you start writing a post, all these crazy ideas about what you should or could have done to your recipe comes pouring out. I think that’s how I get my best ideas! 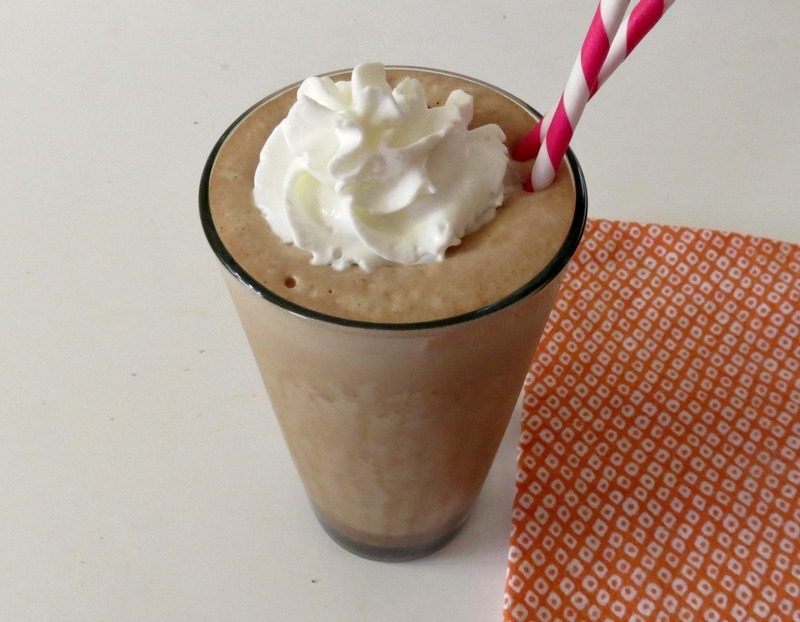 Now that I have this drink with ice cream on the brain, I totally need to try it and just maybe add a pinch of almond nut butter. I’m feeling crazy, you may have to hold me back! Ok, I’m done rambling! Have a wonderful day!! I think peanut butter would be amazing in this drink. I need to try that next time for sure!! Yum! I love frozen beverages and especially using coconut or almond milk in place of regular milk. What a great healthy treat! I love using coconut milk in my drinks, it makes them so creamy. I have’t tried almond milk in my frappes but I think I will next time. Thanks for mentioning that!! I could use one of these right now!! This little drink gets me through the day, I look forward to coming home from work for my frappes! Ohhhh mudslide <3 I want, I want! Geez woman, way to make me hungry and thirsty at the same time. This drink rocks. lol Kim! Thank you!! I am loving this drink myself! It is very filling! Can I drink this right now for my afternoon treat?! Divine Coffee! I could so go for a milkshake or a dollop of whipped cream right now. This looks so wonderful! This will be tomorrows snack! 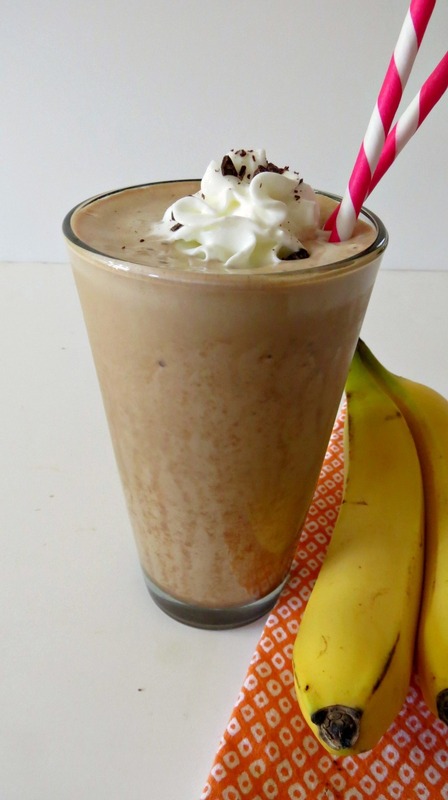 I love it with the banana and I’m think instead of whip cream a big dollop of Peanut Butter! I wish we would get some hot weather here! I’m ready for it!! Great idea here again! You are just toooo amazing for words! I think I am gonna start making some shaking! lol, your too funny! I have been on such a smoothie kick, be prepared for new ones next week! Anytime! If you ever make it, let me know what you think! I literally just made this and it’s wonderful. It ame out really thick, so I added more coconut milk. I also added PB2, but I can’t taste it over the chocolaty goodness. Fine by me! I’m just sad it’s halfway gone now.